I opened up the packet and found that they looked pretty much like regular Tiramisu. 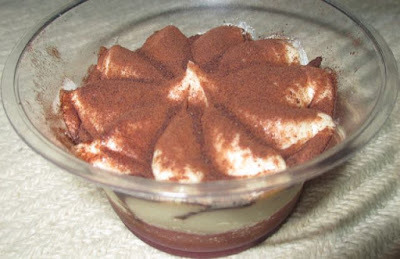 Indeed the Mascarpone layer on top looks identical to the regular Tiramisu I normally purchase, dusted with cocoa powder. 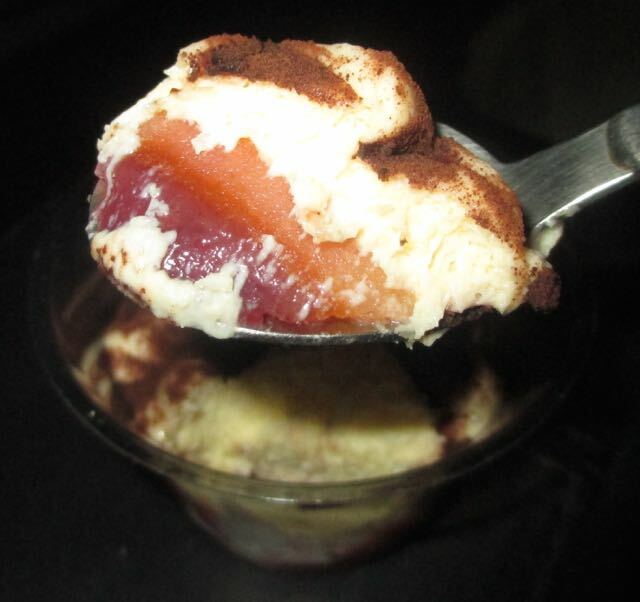 The top of the desserts tastes the same too, creamy and sweet with a layer of Masala soaked sponge underneath. The difference is that under this layer is a soft layer of raspberry fruit. It isn’t as sweet as a jam, but has that sort of texture. It is a sharper flavour, but not to strong and it did work well with the other flavours. 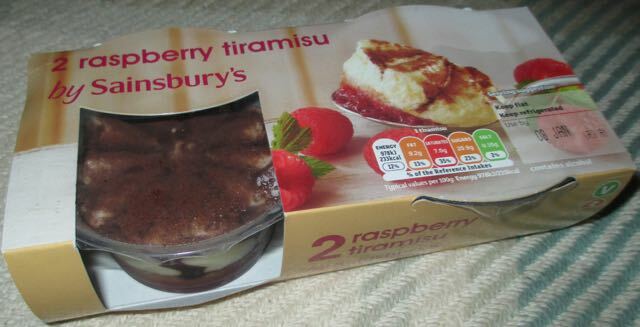 I wasn’t sure that it would as Tiramisu already contains a complex array of tastes, but I have to admit the raspberry did add to it. I do like a regular Tiramisu but this was nice for a change, something a bit different and one I will buy again, assuming they are there after the Seasonal goodies disappear.